Move over, Gordon the Boar - there's a new anthropomorphic gin connoisseur in town. 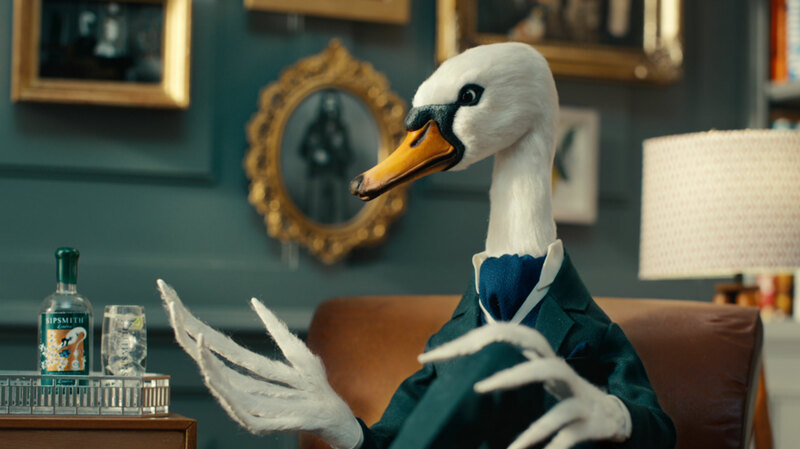 His name is Mr Swan, and he's the focal point of this terrific commercial for artisan distillers Sipsmith. Realised through deft stop-motion animation, Mr. Swan (voiced by Julian Barrett) saunters through the ad whilst outlining the gin's production process. He may be fowl, so to speak, but Swan proves a witty and entertaining advocate for the brand's wares.